The Health Services Department strives to attain the “right to health” for children, adolescents and their families in the South of Quito through education, health promotion, and relationship building with local health centers. The Department operates CENIT´s infirmary and Market Health Promotion Project at CENIT and in the markets of Chiriyacu-Camal and San Roque. 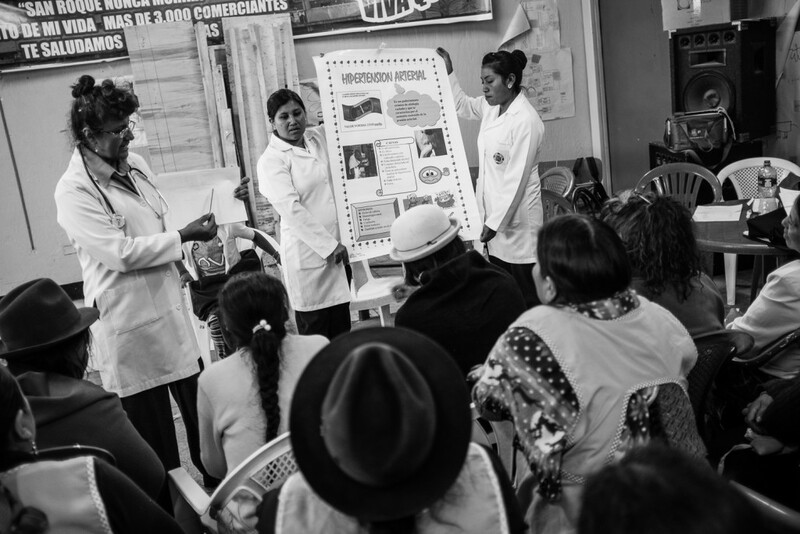 The Market Health Promotion Project works across different market sectors to advocate for the health of children and their families through helping them access local health services and navigate the Ecuadorian healthcare system. The project involves accompanying patients to their appointments, organizing health events to screen the adult population for hypertension and diabetes, and carrying out development assessments and basic medical checks for the children in CENIT´s educational programs. The Infirmary works to ensure the well-being of the students and families at CENIT. Activities include the provision of first aid, basic physical checks for students (carried out twice a year), discussions with families on topics related to hygiene, dental care, and nutrition, and the implementation of health related workshops for children and their families. The infirmary also provides first aid trainings for staff and volunteers and liaisons with local health centers to provide specialized care and follow-up. Learn more about volunteering within CENIT’s Health Team here.